Two grand juries issued their decisions this week. In Jerusalem an Israeli border guard was indicted for firing live ammunition on a crowd of young Palestinian protesters and killing a 17-year-old. In Ferguson, Missouri, another grand jury decided not to indict the police officer who fired six shots into the body of an unarmed 18-year-old. One victim was Palestinian, the other African-American. 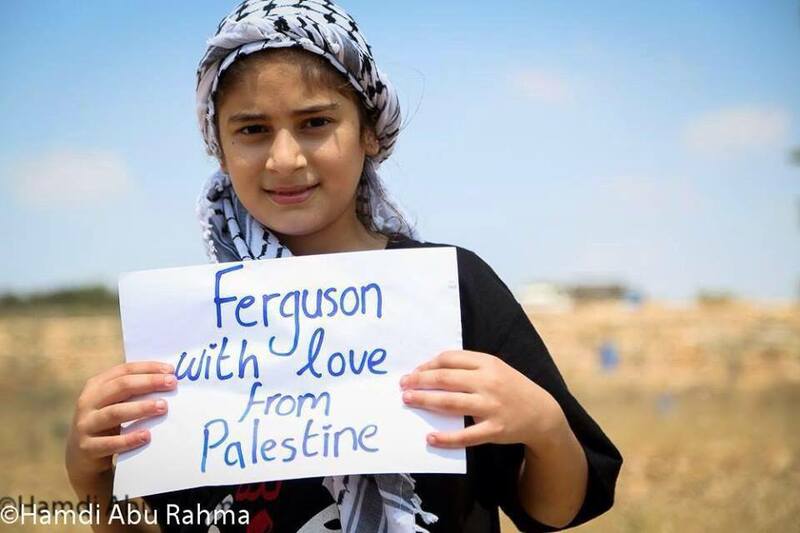 Both lived in regions where escalating violence and racism are a part of daily life. Both lived under systems that justify police violence against unarmed civilians. In both countries indictments of police officers are extremely rare. What made the difference ? 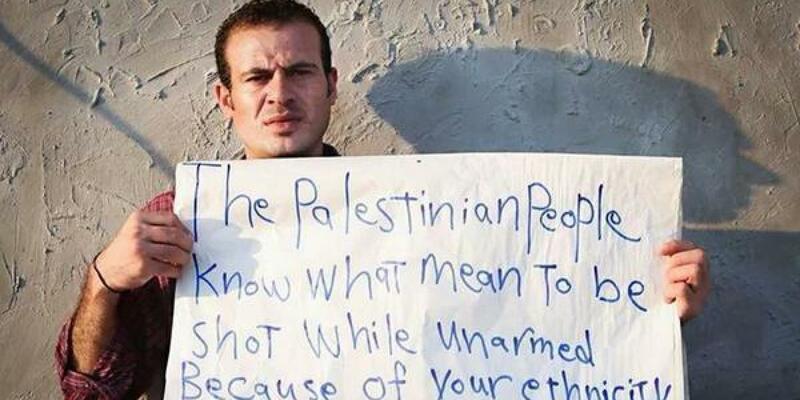 In the case of Nadim Nuwara, the Palestinian teenager, whom the officer accused of throwing rocks as part of a protest, the incident happened in front of a private home where four security cameras captured the shooting. The Israeli guard’s story could not hold up in the face of such testimony. In addition, forensic evidence determined that Nadim was killed by a live bullet fired from the officer’s gun. Israeli border police are required to use rubber bullets when dispersing crowds. None of us knows what really happened between Darren Wilson and Michael Brown that night. But would the officer have acted differently if cameras were rolling ? (Some U.S. police forces are now requiring all their officers to wear body cameras.) Clearly, with each week delivering fresh headlines of new police shootings of unarmed black youth, American citizens need some way to keep our peace officers accountable. Requiring body cameras is one way to do just that, especially given the recent and ongoing militarization of local constabularies, where more money seems to be pumped into weaponizing than training. Still, one has to ask why the escalating violence ? Why now ? Certainly, such incidents are not rare in the racially charged United States of America, with our long history of violence and injustice against people of color. But the recent almost daily reoccurrence of this kind of violence is alarming. Why is it happening ? Perhaps it is not surprising given the rising tide of violence worldwide. Syria. Ukraine. Iraq. Afghanistan. Nigeria. Kenya. Gaza. Human life seems to be growing cheaper by the day. Racism, too, is enjoying a comeback, brought to us courtesy of right-wing regimes everywhere. In the U.S., with the help of radio shock jocks and media outlets like Fox News, it has become almost respectable again to be a white supremacist. White people here are afraid, the demographics are tilting, and it would seem, for some, that genocide is their only recourse. But I would lay the bulk of the growing violence on a lack of global leadership. The U.S., in its unswerving commitment to blind foreign policies and failed military strategies and its backing of repressive regimes worldwide, has long abdicated its once vaunted role as peacebroker. When so much of your economy is based on the manufacturing of hammers, then of course everything looks like a nail. Our drone program, designed to save American lives, kills far more innocent civilians than it cares to admit. Such strikes are about as surgical as a potato-masher, they are racist to the core, and they are responsible for recruiting more jihadists than even bin-Ladin on a good day. When the Nobel-Peace-Prize-winning Leader of the Free World continues to justify war after war, even the assassination of American citizens, how can we expect local law enforcement not to behave like Genghis Khan on crack. Now there is one arena where the trickle-down effect actually exists ! 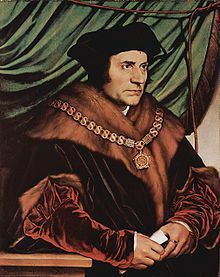 In Act One Scene 2 of Robert Bolt’s celebrated play A Man for All Seasons (1960), Cardinal Wolsey tries to enlist Thomas More’s aid in securing a Tudor heir. King Henry VIII wants a son to ensure his dynasty, but his wife of 20 years, Queen Catherine, is as “barren as a brick.” As Lord Chancellor, Wolsey plans to secure a papal divorce for the King by applying pressure to church property. Then Henry can marry his mistress Anne Boleyn. Sir Thomas, an idealistic scholar and a deeply religious man, is horrified. MORE: I’ve already expressed my opinion on this. WOLSEY: Oh, your conscience is your own affair; but you’re a statesman! Do you remember the Yorkist Wars?…Let him die without an heir and we’ll have them back again. …England needs an heir; certain measures, perhaps regrettable, perhaps not… All right, regrettable! But necessary, to get us an heir! Now explain how you as Councilor of England can obstruct those measures for the sake of your own, private, conscience. MORE: Well . . . I believe, when statesmen forsake their own private conscience for the sake of their public duties . . . they lead their country by a short route to chaos. Since last week’s mass homicide in Aurora, there’s been much talk about the need for appropriate gun control. Every year this country must endure heartrending and macabre acts of mass murder. Among the cacophony of voices are those who blame the failures of our mental health system or the entertainment industry, and still others who claim the real problem is that there just aren’t enough people carrying guns (as if more guns would actually make society safer). And of course, these are followed by the annual cries for sane gun legislation. They all might as well be spitting on a forest fire. Coupled with the climate change crisis, extra-judicial killings, American drones terrorizing populations abroad, campaign spending out of control, and the undue influence of corporations in our government and media, we get the clear picture that our system is terribly broken, that we are all held hostage by special interests running amok. America is and always has been a violent nation. Yet over the past decade that culture of violence has received a huge shot in the arm from the rampaging violence of American might overseas and the ever expanding War on Terror, from executive power without checks and balances, from the growing militarization of local law enforcement and the shooting of unarmed citizens, and from the economic violence committed daily by a financial sector without accountability. In short, everything seems out of balance because everything is out of balance. Without justice, without the rule of law in the highest places, there can be no peace elsewhere. It may seem simplistic, but nonetheless accurate, to say that the entire world would be amazingly better off if the US would simply reform its campaign finance system. Think of it. There would be fewer wars. Real action on climate change and a switch to a greener economy might be possible. Appropriate gun control would not be just a pipe dream. More justice at home and abroad. One system of justice for rich and poor. Fairer diplomatic policies that reflect our actual values as a nation, instead of the fiats of a handful of multinational corporations, would mean fewer acts of terrorism. The list is really endless and should serve to demonstrate what our priorities need to be in the years ahead. Speaking of the breakdown of the rule of law, later in the play, Thomas More confronts his would-be son-in-law, Will Roper, whose religious zeal almost makes the scholar’s flesh crawl. MORE: Oh? And when the last law was down, and the Devil turned round on you–where would you hide, Roper, the laws all being flat? This country’s planted thick with laws from coast to coast–man’s laws, not God’s–and if you cut them down–and you’re just the man to do it–d’you really think you could stand upright in the winds that would blow then? Yes, I’d give the Devil benefit of law, for my own safety’s sake. More’s words paint a frighteningly accurate portrait of the kind of chaos that is unleashed when the rule of law breaks down, or rather, is sacrificed for reasons of security or even simple greed. The current administration’s mainstreaming of injustices and acts of violence that in former years were practiced in back rooms are, as history may judge, the most dangerous crimes ever committed by a sitting president. I am of course referring to the policies of indefinite detention, the assassination of US citizens and foreign nationals, the use of drone warfare, not to mention the most egregious trade bill ever concocted by man, which may render national and local legislation completely powerless in the face of multinational corporations. No one yet knows what was going through the tortured mind of a young man who entered that theater through an exit door last week. Most probably, none of the above issues ever passed through his head. Yet injustice has a way of breeding more injustice, and violence more violence. Both breed rage, hopelessness, and despair. As our government grows increasingly unrestrained, the people will follow. And violence and mayhem have a way of coming home to roost, even when they are practiced ten thousand miles away.